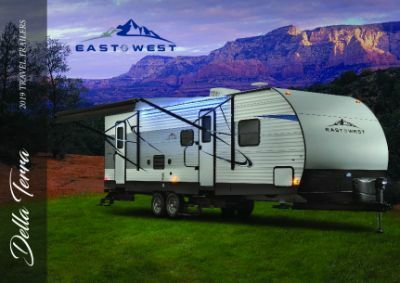 Start camping in style with the 2020 East To West RV Della Terra 29K2S Travel Trailer! At Gillettes Interstate RV in East Lansing, Michigan, we've been in business for over four decades, delivering top brand RVs to our customers! Since we offer 24/7 door to door delivery across North America, we can put you in your dream RV at a dream price anywhere in the country. So stop in and visit us at 7210 E Saginaw St East Lansing Michigan 48823 and let our friendly, professional staff make your dream a reality! Or go online and check out our huge selection of top RVs and give us a call at 517-339-8271 today! You'll be glad you did! Traveling the road is a breeze with this Travel Trailer! It has a very manageable hitch weight of 936 lbs, is 31' 11" long, and 8' 0" wide! The GVWR of lbs. means this rig is built for the road! When you reach the campsite, the 11' 0" patio awning will provide shade and protection for outdoor relaxing! The days are filled with fun in the East To West RV Della Terra 29K2S and the nights are just as delightful because you'll sleep peacefully and comfortably in the master bedroom of this RV. It has handsome furnishings to store your clothes and sundries, as well as a roomy, regal King bed that will ease you off to dreamland in no time! 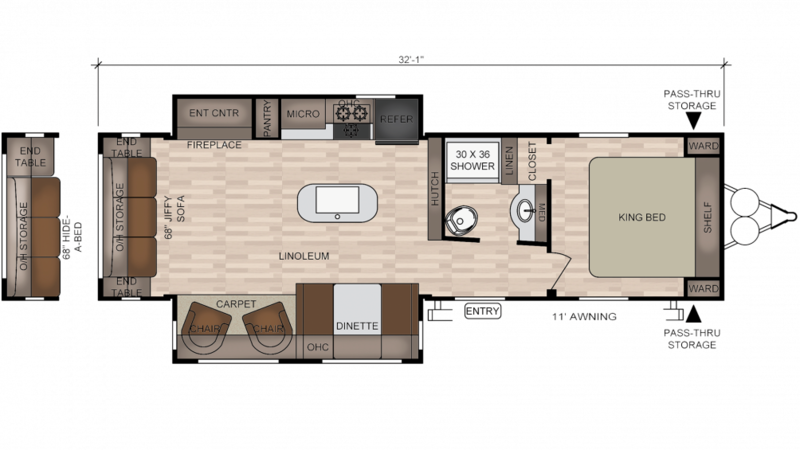 There are enough sleeping accommodations throughout this RV for up to 6 people!